Artist/Author : McQuillan, Peter et al. This beautifully illustrated book covers biology, life cycles, behaviour, food-plants, distribution, conservation and classification. 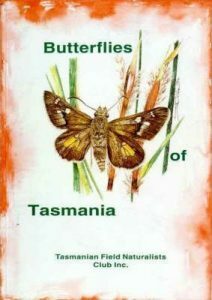 All species that occur in Tasmania are discussed, many of which also occur on the Australian mainland. Tasmanian FNC, Octavo, paperback, 140 pages, colour plates. Artist/Author: McQuillan, Peter et al. * Exception: color photos for one species are of museum specimens as there are no photographs of live individuals whose identification has been confirmed. This visual feast reveals a multitude of butterfly and moth species from around the globe. Here are some of the most colorful, spectacular and sometimes weird examples of the world’s butterflies and moths. From the common swallowtail to the iridescent blue morpho, Thomas Marent’s stunning photographs provide a close-up view of the remarkable family of insects known as Lepidoptera. The macro photography complements the enlightening text written by zoologist Ronald Orenstein, who explains the scientific curiosities of these amazing insects. 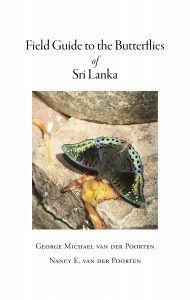 He makes clear how to differentiate between butterflies and moths; how caterpillars camouflage themselves; and how their feeding strategies and evolutionary adaptations help them prevail in the wild. Examples include such seldom-seen species as the green dragontail (Indonesia), Mexican kite-swallowtail (Costa Rica), the alpine black swallowtail (China) and European sulphurs. Among the many anatomical characteristics profiled are the purpose and differences between butterfly and moth antennae (smell, communication and feel); how some butterflies are amazing mimics, appearing to the untrained eye as nectar-feeding hummingbirds; and how the patterns on their wings, depending on the species, may be spots that make the insects look like larger critters to their predators. 7. Myriads of Moths includes Day-Flying Moths; Silks; Giants; Mimicry; Wing Pattern; Defense and more. 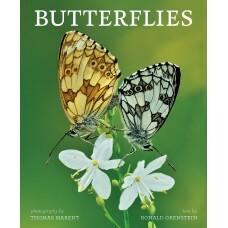 Butterflies brings to abundant life the unfathomable beauty and variety of butterflies and moths. 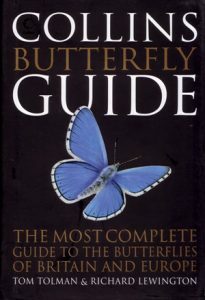 Collins Butterfly Guide: The Most Complete Guide to the Butterflies of Britain and Europe. Artist/Author: Tolman, Tom and Richard Lewington. Part of the ‘Collins Guide’ series, this classic guide to the butterflies of Britain and northern Europe enters its third edition, featuring over 400 species, depicting both male and female insects. Species descriptions include details on taxonomic nomenclature, distribution, flight period, variation, habitat, behaviour and life cycle. Subspecies are included where there is significant variation, and distribution maps accompany each widespread species. Illustrated by Richard Lewington, the world’s leading butterfly illustrator, this ideal field guide for travelling naturalists and butterfly enthusiasts alike is an essential addition to every nature lover’s bookshelves.